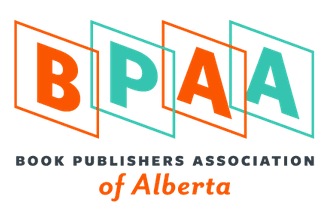 The Book Publishers Association of Alberta (BPAA) is a broadly-based professional organization representing and providing services and support for 28 book publishers in Alberta. The Association supports the publishing industry in Alberta which is committed to producing and marketing quality books; to working with local writers, illustrators and editors; and to promoting Alberta cultural perspectives. Member companies vary in size from small self-publishers to larger firms and publish over 250 titles annually. The Project Coordinator and Executive Director will be jointly responsible for assigning work, ensuring that the student is able to perform all tasks assigned, providing training where necessary, offering mentorship whenever possible, and giving timely and constructive feedback on all work performed. Two-way communication will be daily, when possible (travel and meetings may take both full-time staff off-site one or two days a month) A formal meeting will take place at the beginning and end of the term to communicate expectations, deliverables, and overall performance. The Project Assistant will share an open office space with the Project Coordinator and have access to both the Director and Coordinator at their request. The BPAA is governed by a volunteer Board, comprised of members of the association. The nature of the work is administrative, and office based. Our health and safety plan covers general workplace safety including what to do in case of emergency, evacuation routes and procedures. We do carry WCB insurance and all employees will be covered per the legislation. The organization will provide all necessary equipment in good working order and never compel an employee to perform work which is hazardous or unhealthy, within reason. There will be some light lifting (<25kg) and possible travel offsite for meetings and events.